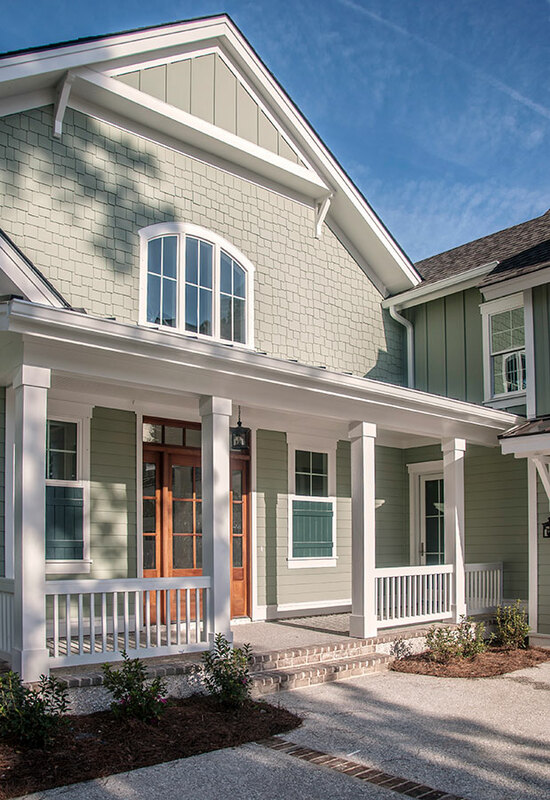 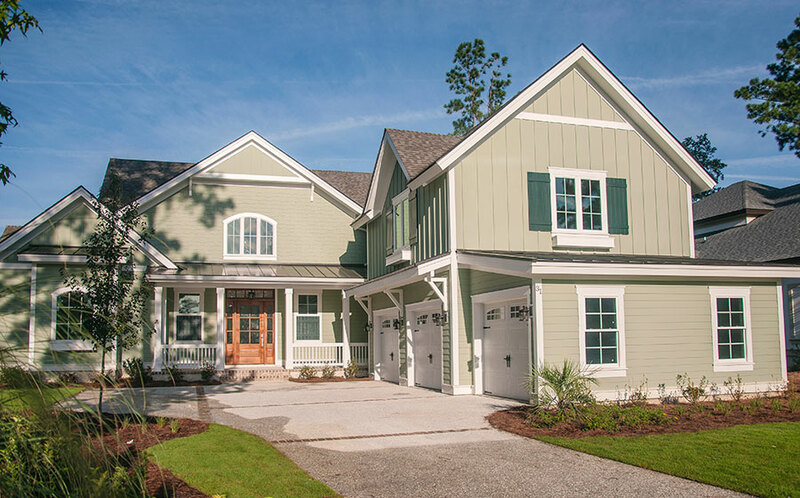 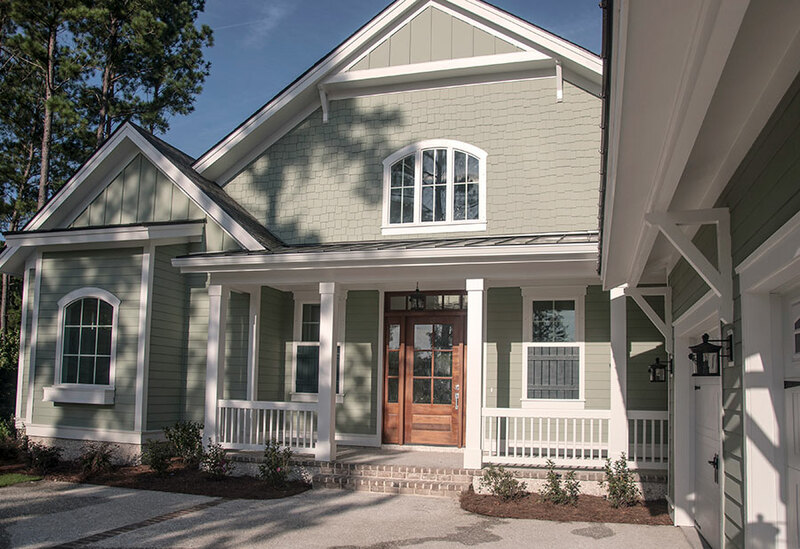 The 4028 Square Foot Home is a True Lowcountry Style, with Hardi Siding, a Wood Pickets and Rail on the front porch and Huge Window Boxes. 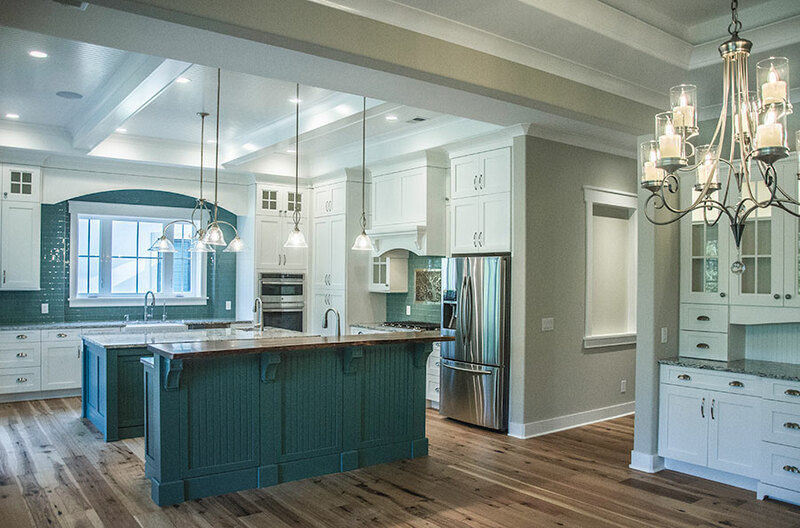 Two-Story Front Foyer has beautiful Shiplap on the walls, we have Hard Wood Flooring through out the house, except for the bathrooms, which have Travertine Stone. 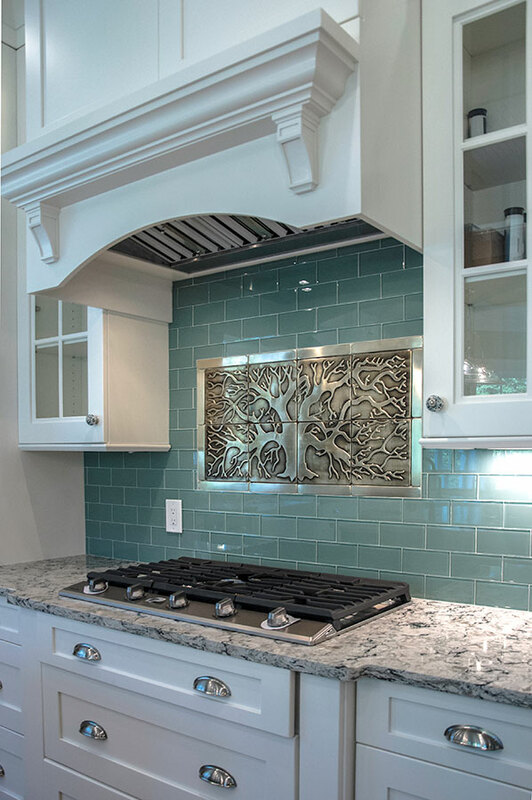 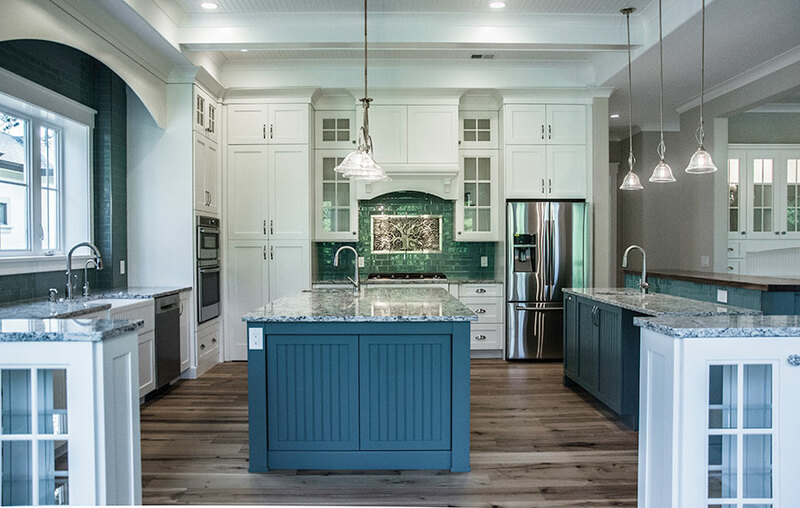 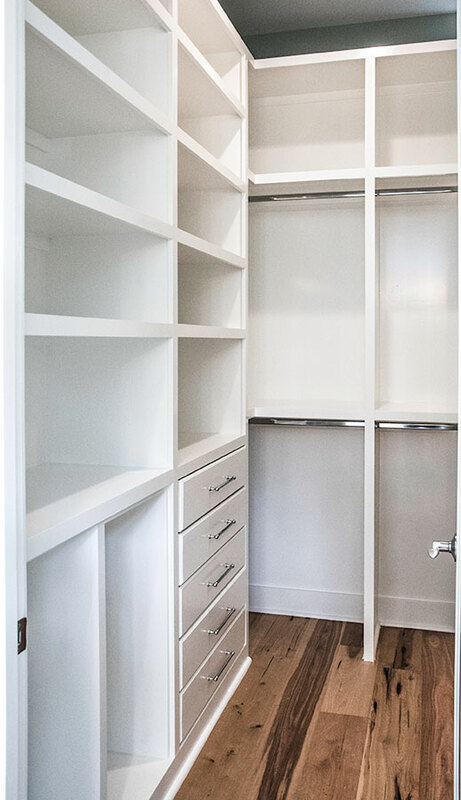 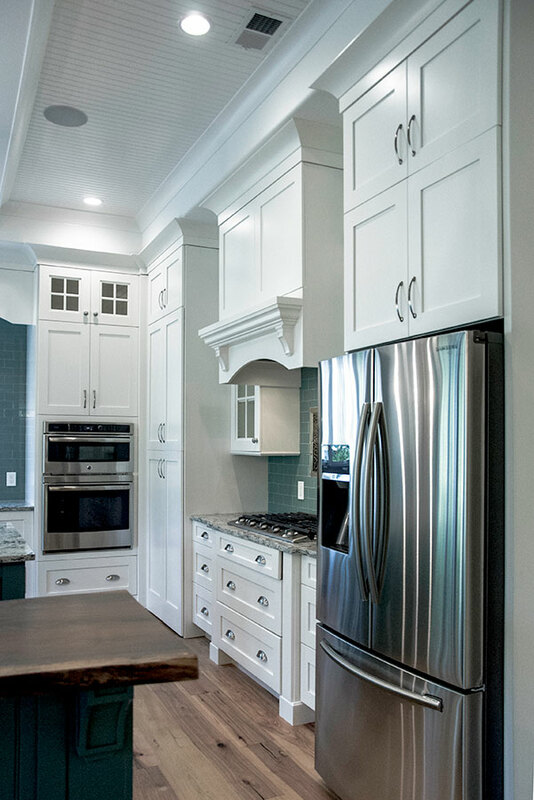 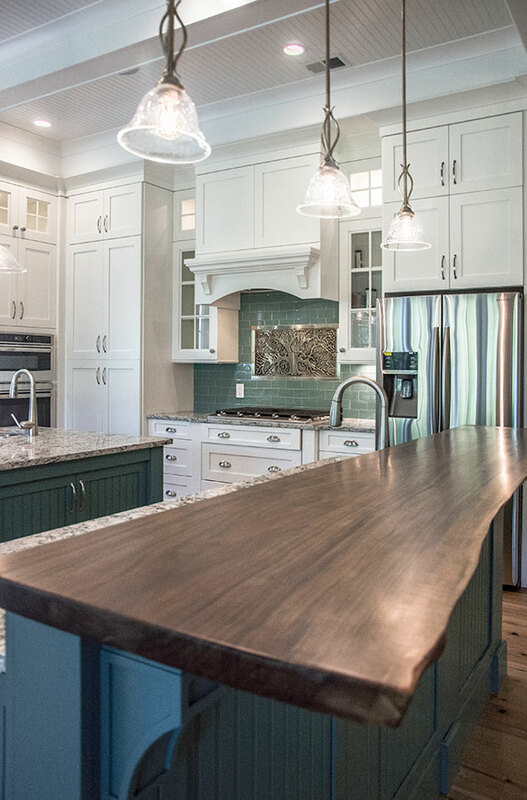 The Main Kitchen has Custom Designed and Built Cabinets, with Two Islands, one of which has a Step-Up Bar, with a Custom Designed and Created, Live Edge, English Walnut Countertop, and a Large Walk-In Pantry, hidden behind Cabinet Doors. 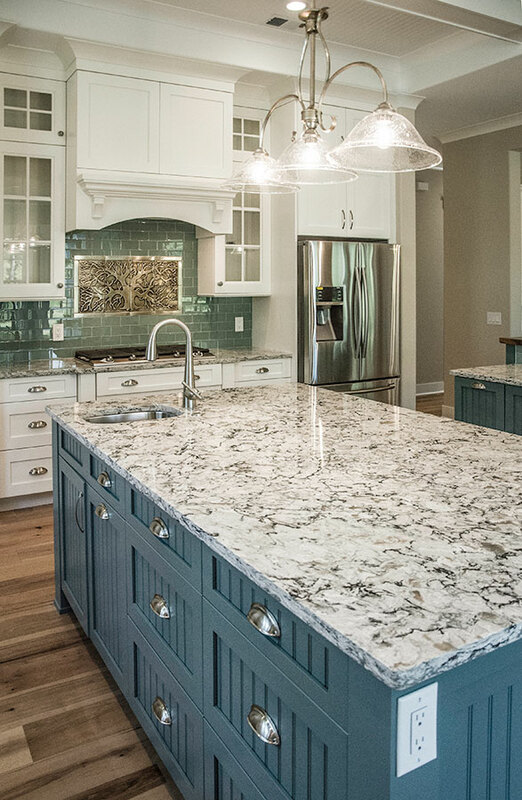 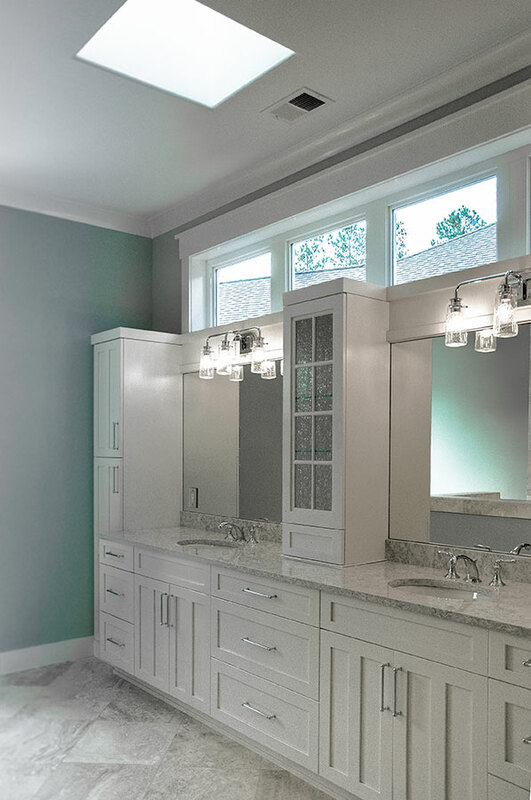 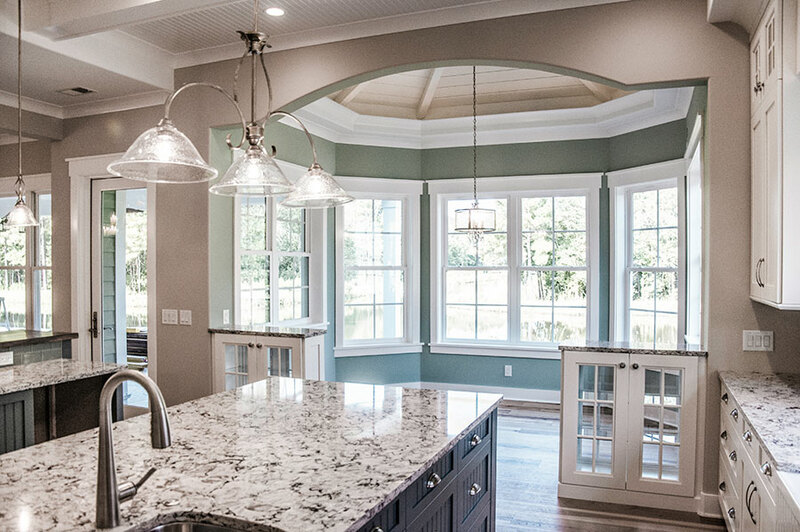 The other Countertops are a Beautiful Color of Cambria, with Stainless-Steel Appliances, a Lovely Porcelain Farm Sink and a Huge Window over the Sink. 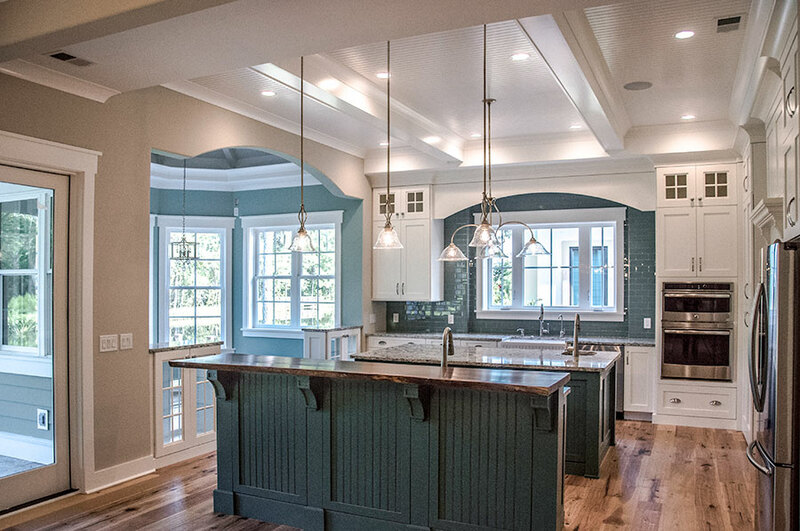 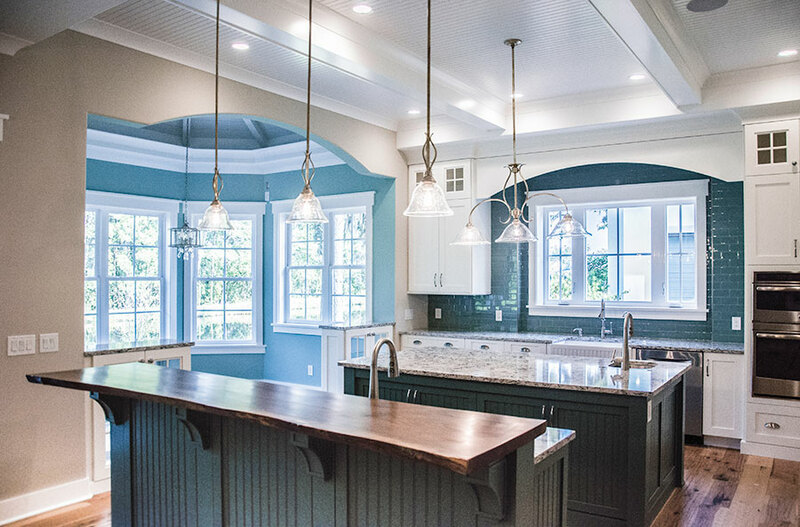 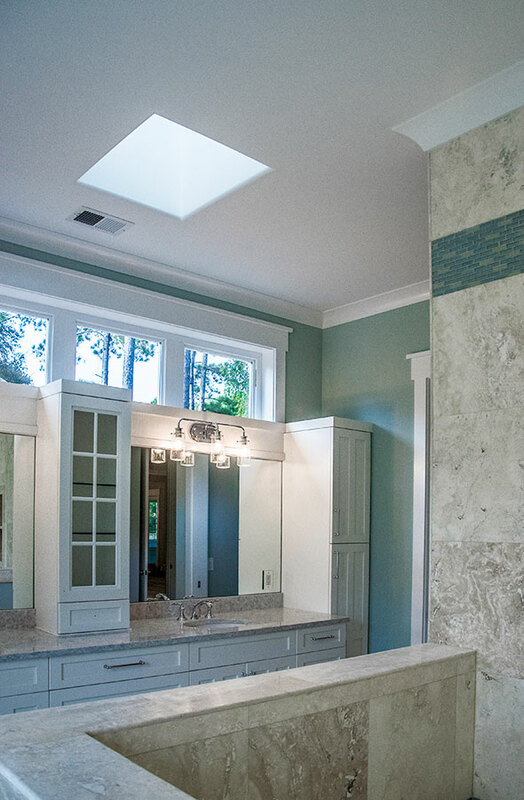 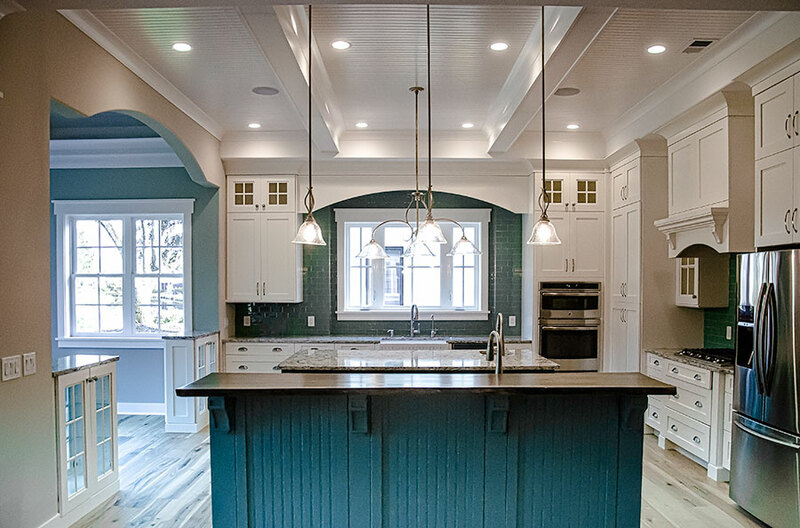 There is a Breakfast Room with a Vaulted Ceiling that has a Unique Shiplap and Beam Detail; the Dining Room has a Custom Designed and Built, Built-In Cabinet that covers one entire wall of the room. 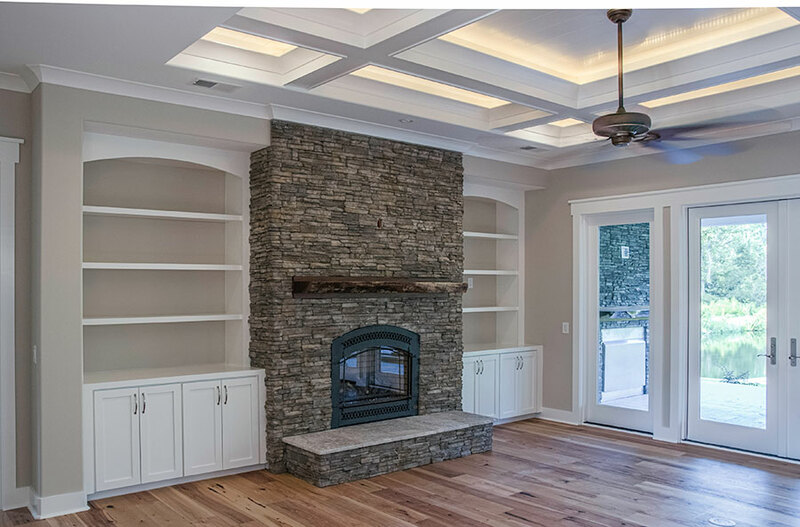 The Living Room Has a Commanding Stack Stone Fireplace with a Custom Designed and Built, Live Edge, English Walnut Mantel; this Spectacular Fireplace is flanked with Custom Built, Built-In Shelves. 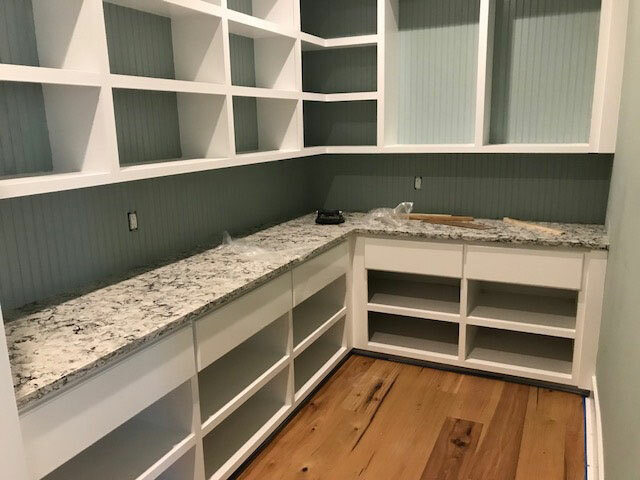 The Outdoor Living Area also has a Beautiful Stacked Stone Fireplace with a Lovely Custom Designed and Built, Live Edge, English Walnut Mantel.